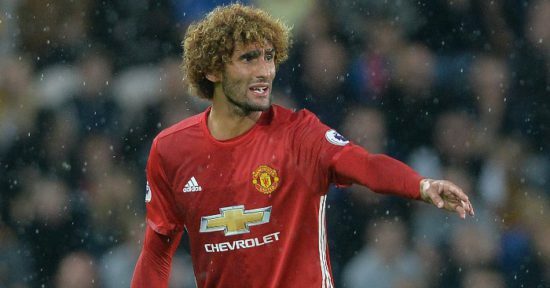 Manchester United could be set to lose star player, Marouane Fellaini as the stalemate concerning his contract continues to rumble on. The 29-year-old Belgium International’s contract expires at the end of the season meaning that from January, he is free to talk to foreign clubs. The frilly haired midfielder is a key player for José Mourinho and changed the complexion of the game when he came onto the pitch in the second half in the Sunday clash against Chelsea. It is reported that the player has refused to sign an extension on his current deal as he looks to be at par with the club’s highest earners. Fellaini has never been appreciated by the fans at Old Trafford as he was the headline signing of the ill-fated era of David Moyes, but his manager, Mourinho has always backed him to deliver. The player is finally showing the consistency that convinced United to shell out £27m for his services back in 2013. ESPN reports that Turkish giants, Besiktas are interested in signing the player. He was close to a move to Galatasaray back in the summer but José dismissed the possibility of losing the player at the time. Fellaini has scored four times this season already and is a vital squad player for Mourinho who appreciates the former Everton midfielder for his loyalty and willingness to give all for the team. After a brilliant start to the season, we have lost our way a little bit and Sunday’s loss highlighted that fact. Our bitter rivals, Manchester City are currently eight points clear at the top of the table having dropped just the two points in 11 matches. Fellaini is a physically imposing midfielder known for his power, aerial ability and finishing. After a difficult start to his career at Old Trafford he has grown into his own at the club, winning the Europa League, FA Cup and League Cup as well as the Community Shield in four years.